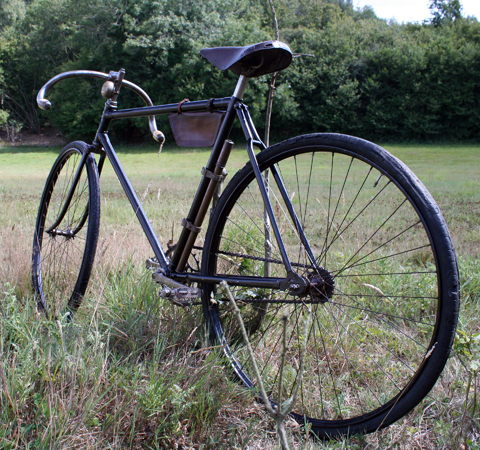 This impressive machine is an old racer from around 1909. 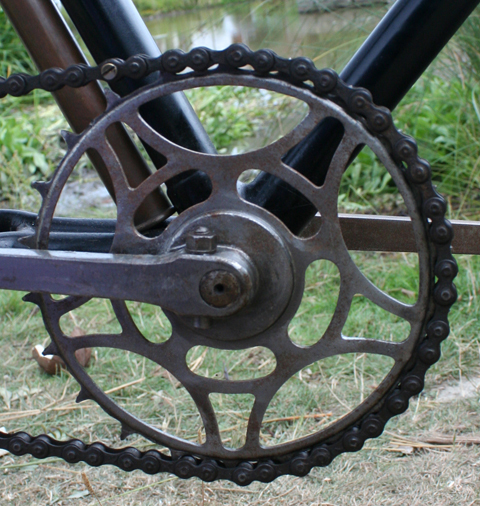 It’s a fixed wheel machine, without brakes, and is ready to ride apart from the fact that it retains its original tyres. 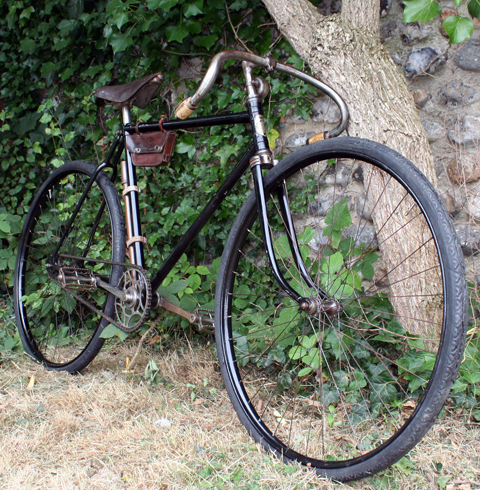 These 100-year-old tyres are perished, but it’s so rare I come across Michelins this old that I’ve just replaced the inner tubes and kept the tyres on the bike. 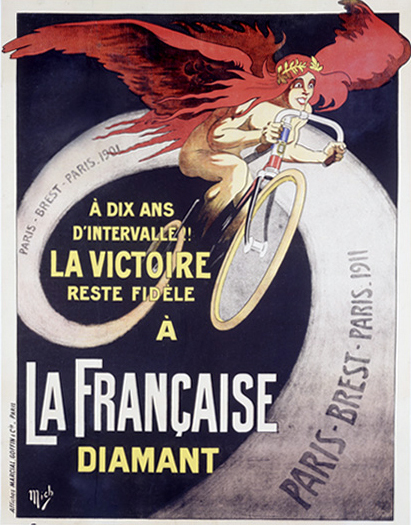 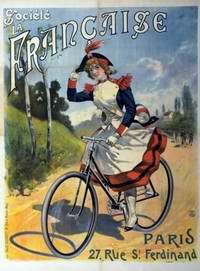 It seems to be a bicycle much-favoured by naked French women with large wings, celebrating victory in the Paris Brest race. 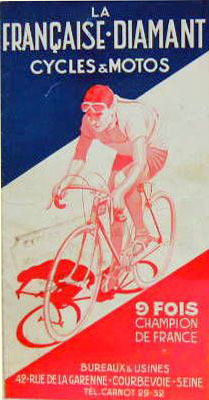 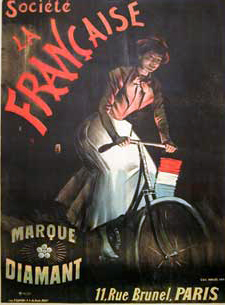 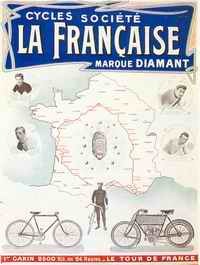 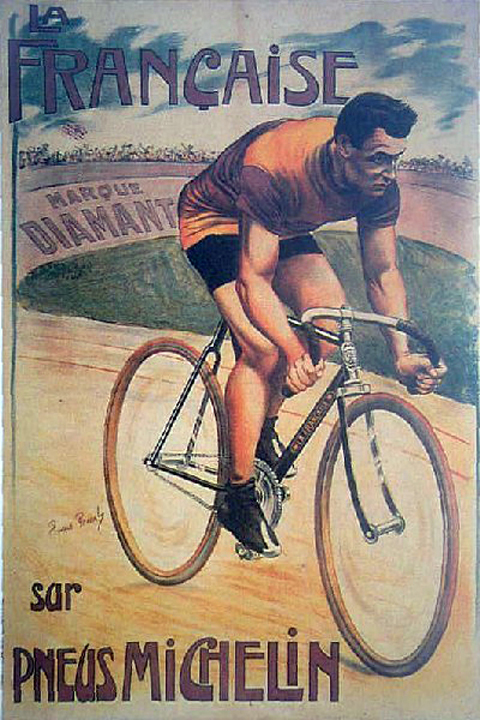 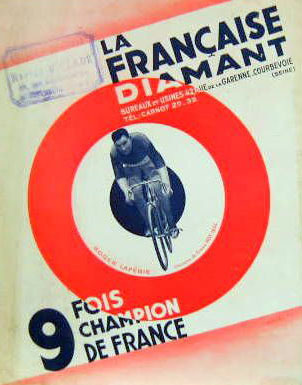 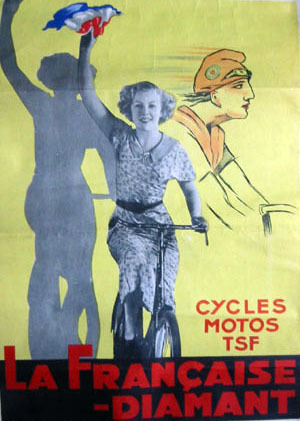 Compare the bike with the poster below (featuring the French champion Dupre). 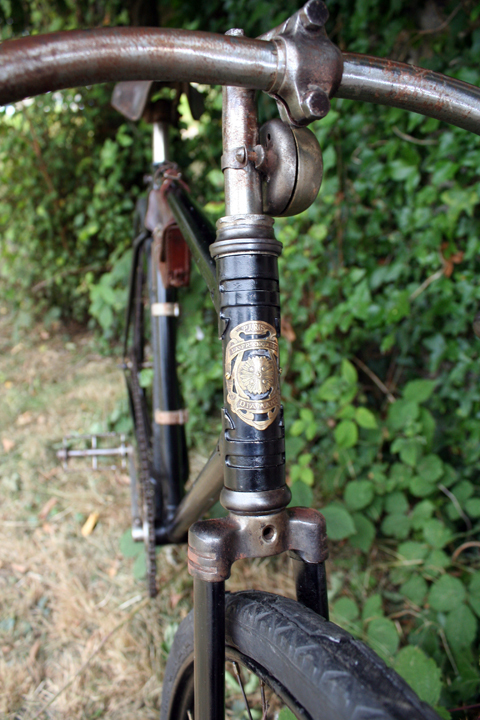 Apart from some lovely handlebars, it’s also blessed with another interesting feature… it’s still wearing its original 100-year-old Michelin tyres. 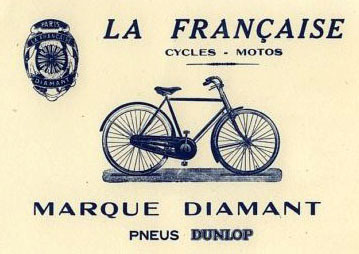 Two brothers, Édouard and André Michelin, ran a rubber factory in Clermont-Ferrand, France. 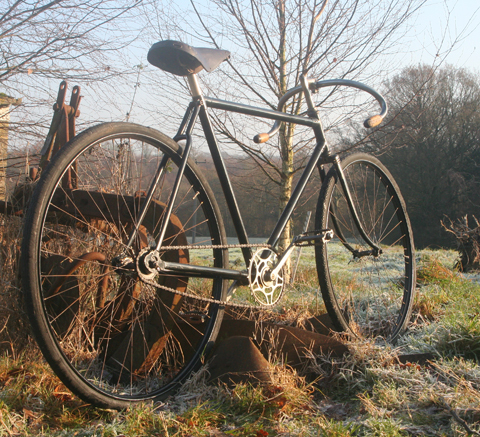 One day, a cyclist whose pneumatic tyre needed repair turned up at the factory. 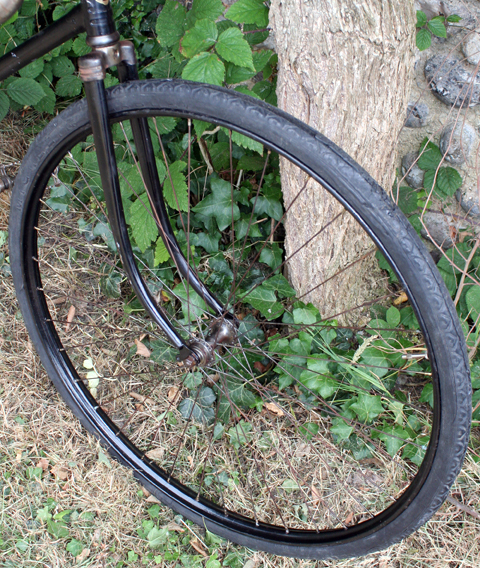 The tyre was glued to the rim, and it took over three hours to remove and repair the tyre, which then needed to be left overnight to dry. 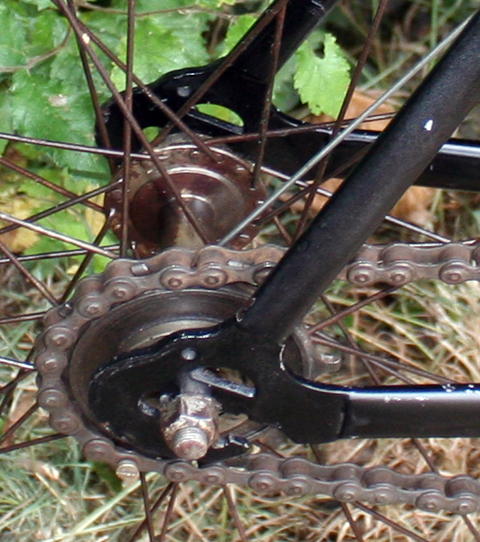 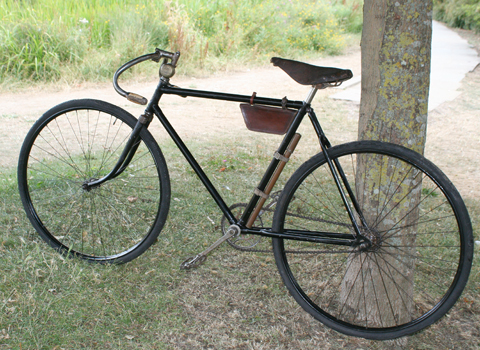 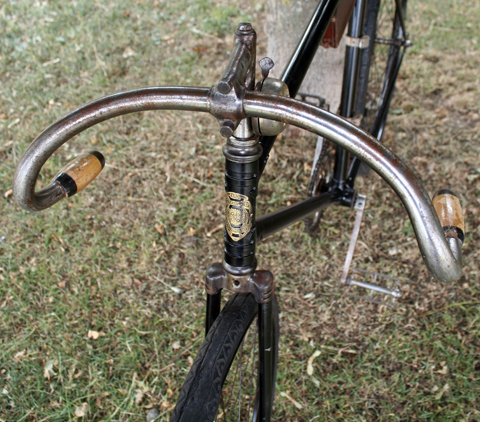 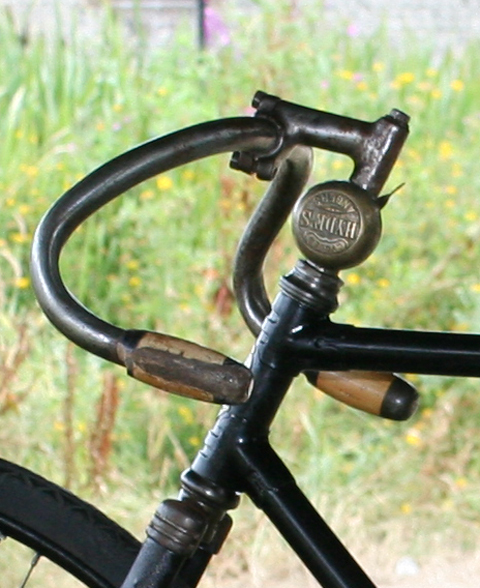 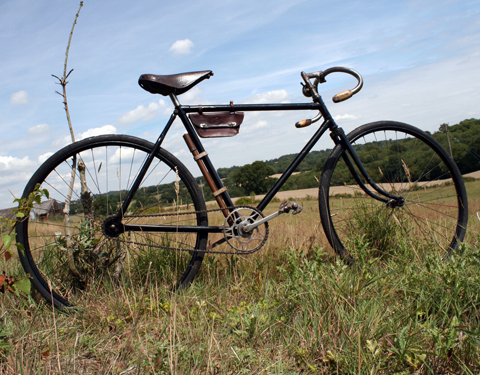 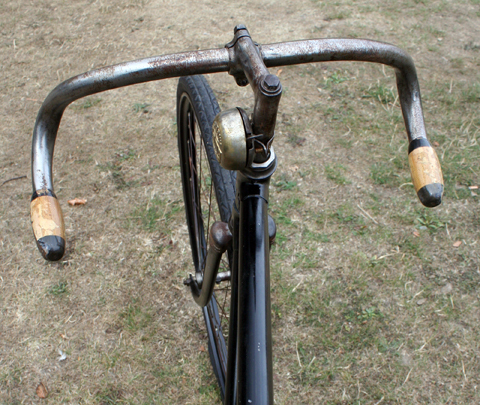 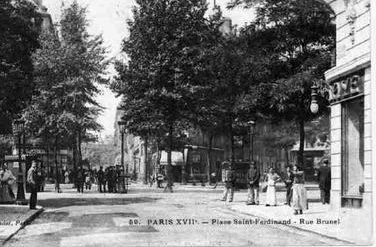 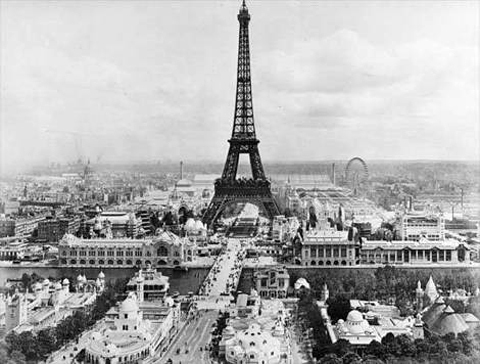 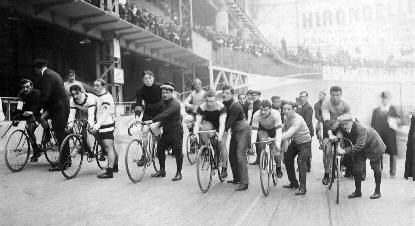 The next day, Édouard Michelin took the repaired bicycle into the factory yard to test. 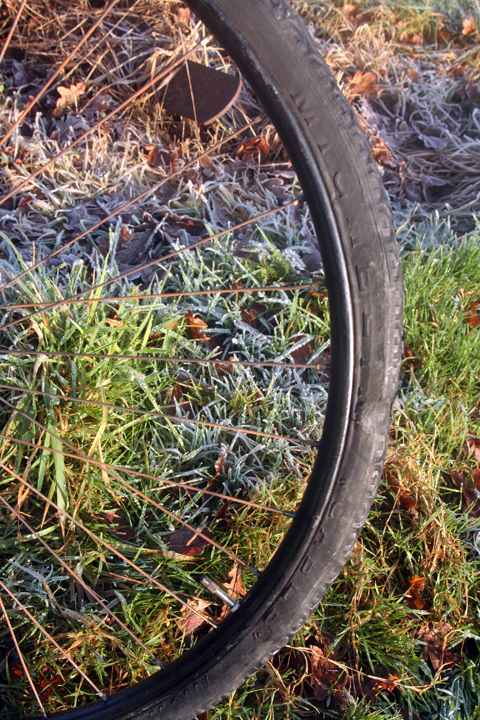 After only a few hundred metres, the tyre failed. 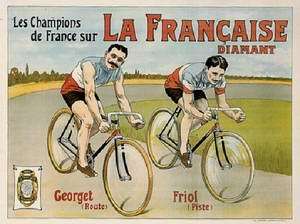 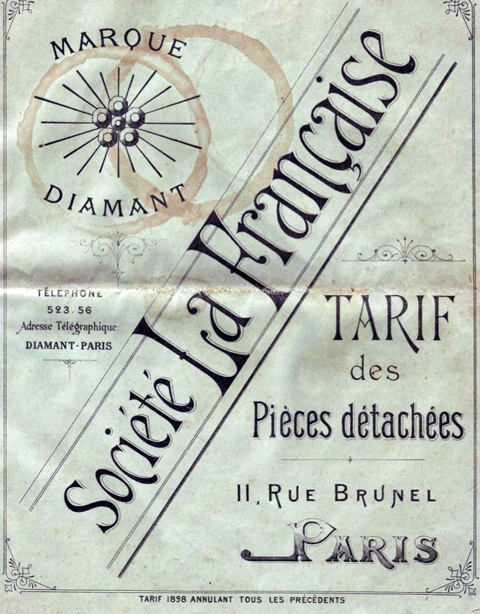 Despite the setback, Édouard was enthusiastic about the pneumatic tyre, and he and his brother worked on creating their own version, one which did not need to be glued to the rim. 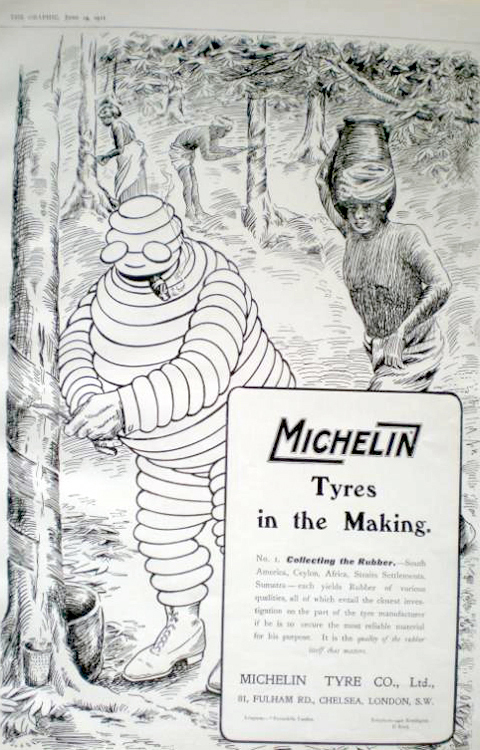 Michelin was incorporated on 28 May 1888 and, in 1891, took out its first patent for a removable pneumatic tyre. 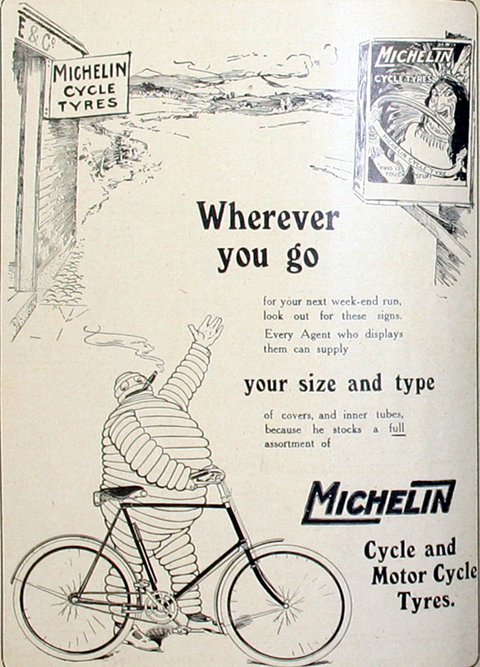 Michelin’s real success was within the realms of advertising and marketing. 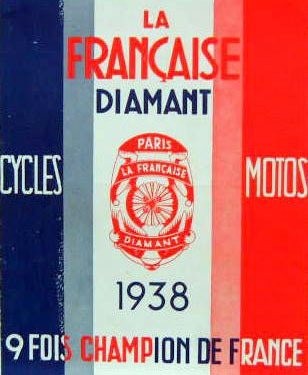 Followed by Citroen and Velosolex later in the 20th century, Michelin pioneered the creation of a product icon to appeal to French buyers’ nationalism. 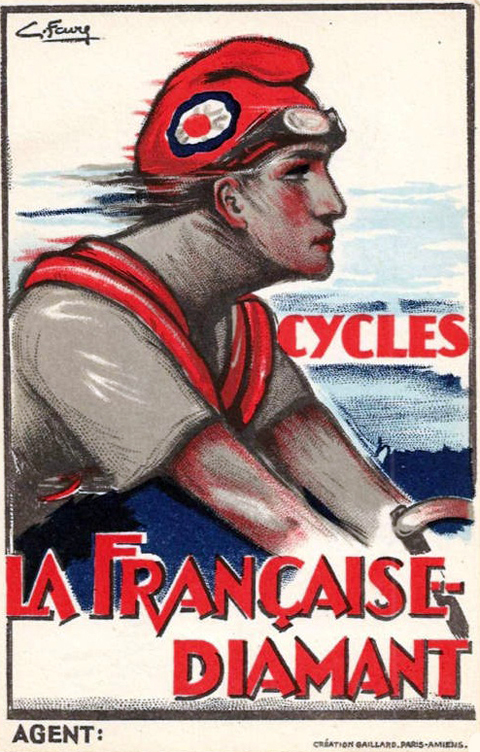 It’s interesting that this iconic appeal was just as marketable everywhere else in the world. 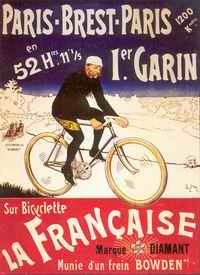 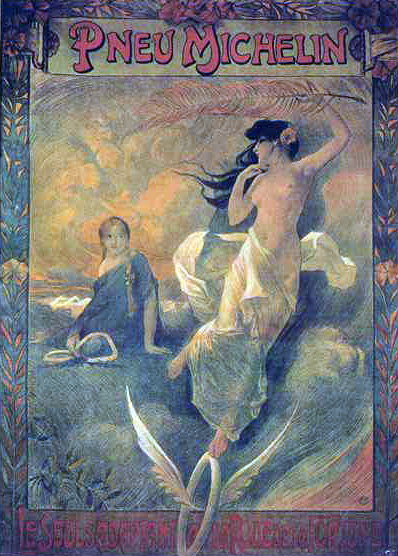 Compare the 1905 Michelin advert at the top – in a style very much in vogue around the turn of the century – with the 1909 ‘Michelin Man’ ad above, and from 1911 below, in British magazines. 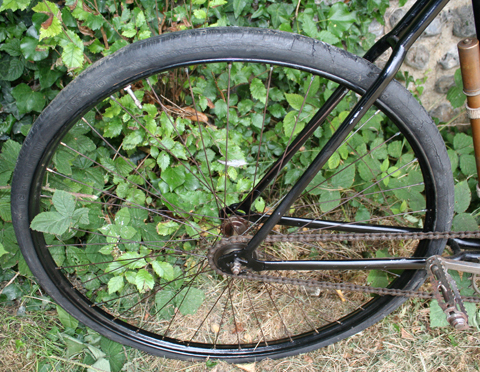 As you can see, these 100-year-old Michelin ‘Cable’ 700 x 35A (28 x 1 3/8) tyres are starting to disintegrate. 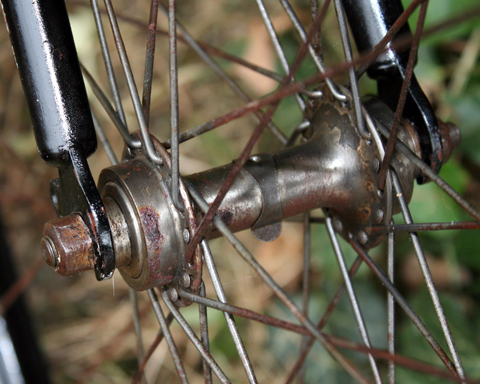 They aren’t usable. 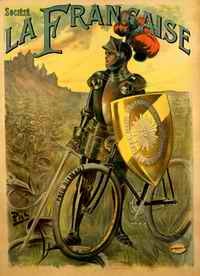 But I’ve kept them on the bike. 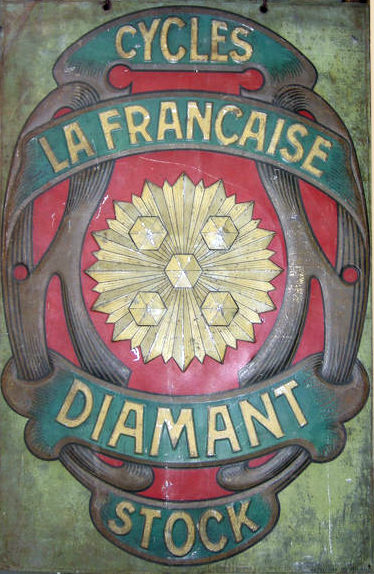 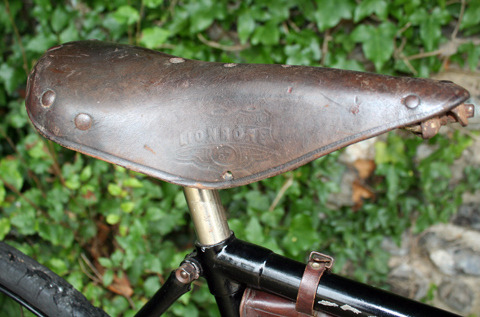 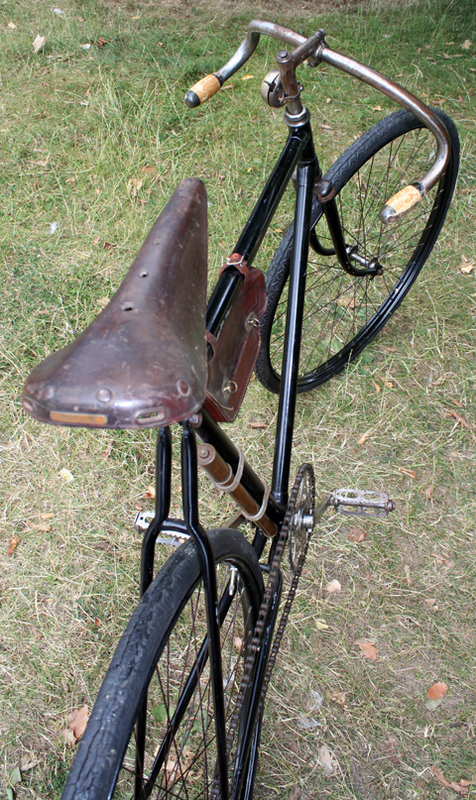 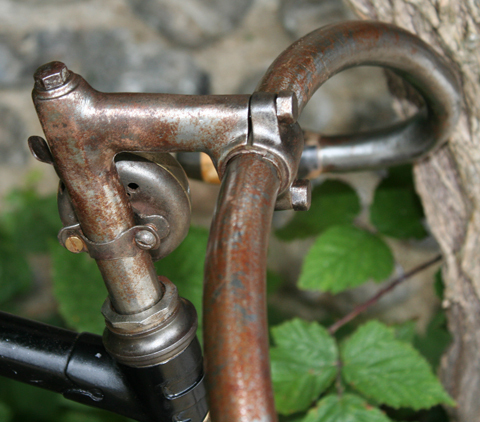 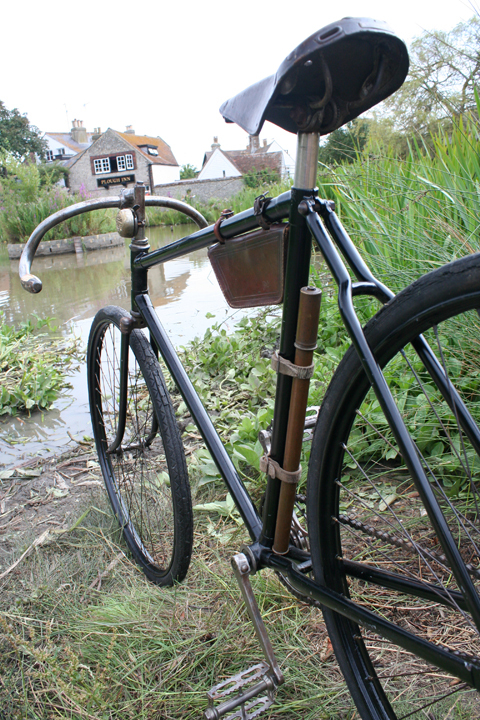 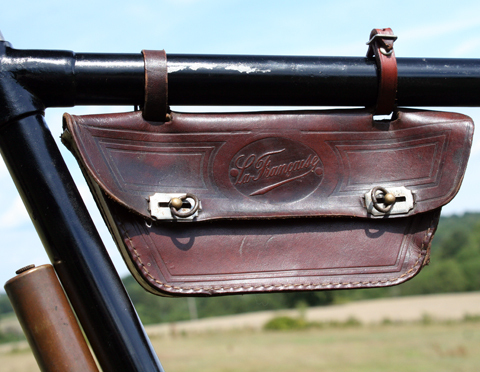 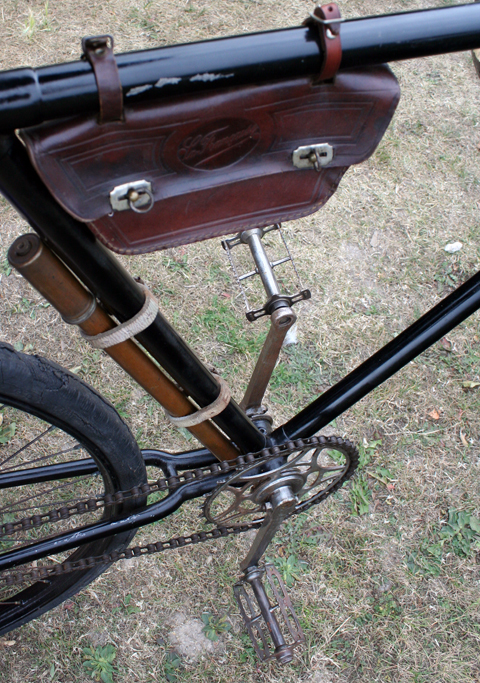 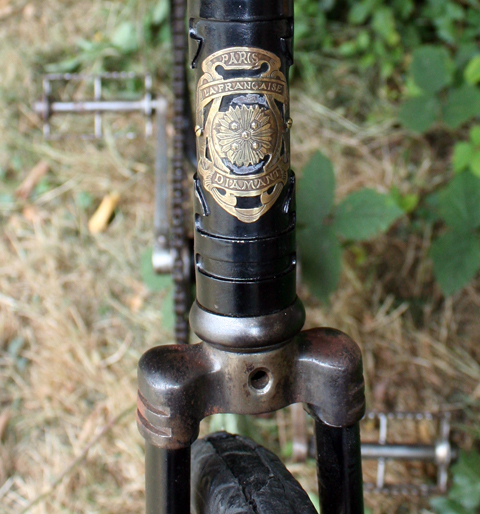 The bike is well accessorized, with brass air pump, original La Franacise Diamant saddle bag, and ornate French bell.